Technology has definitely given consumers easier access to information about the housing industry. However, buyers and sellers need more than just information. They need an analysis of how that information impacts their family. Every family should feel confident when buying or selling a home when working with a trusted and experienced real estate agent who can simply and effectively explain a complex housing market. Recently the housing market got a bit more complicated due to some actions by Zillow, an online site that displays property listings to consumers and sells access to those consumers to realtors using an auction/bid sales model. This property information primarily comes from local Multiple Listing Services (MLS) that agree to send their data to Zillow. Since some MLS boards chose to not send their data, Zillow had access to only about 80% of the available properties but they provided one place to look. Analysis of Zillow’s listings has shown that 30% of properties on Zillow’s site are not actually for sale. While they use this to drive traffic to their site, it confuses and frustrates buyers when they contact a Realtor® who then has to explain that regardless of what Zillow displays, the property is not for sale. Zillow uses a computerized algorithm (branded as Zestimate) to attempt to predict the market value of a house. 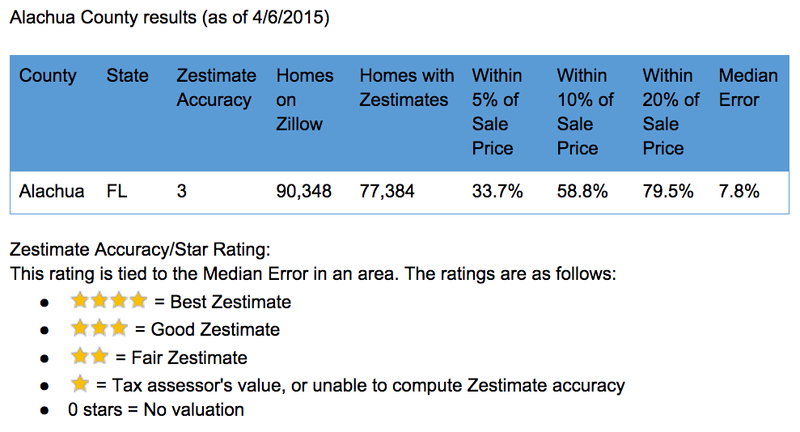 Even after years of attempts to improve these calculations, Zillow’s Zestimate is still frequently incorrect by a significant amount. (The Zestimate often relies on outdated information in public records and cannot account for local conditions and variables that are not easily discoverable by machine data collection.) This often leads to unrealistic expectations from buyers or sellers and makes negotiations more difficult when one party believes an unusually low or high value calculated by the Zestimate formulas. For every property listed, Zillow auctions off multiple slots to agents who compete and bid to appear as the primary agent for a property listing. To cover the cost of this advertisement placement, these agents will try to retain the buyer lead and sell the buyer a house. They may do this by discrediting the existing property in some way and then recommend a property they have in their own inventory. This is certainly not in the interest of the seller and likely doesn’t serve the buyer’s best interests either. Redfin was hired to assess the accuracy of sites like Trulia and Zillow and their study found that approximately 36% of the listings shown as active on Zillow and Trulia were no longer for sale in the local MLS, compared with almost 0% on local brokerage websites. The study further found that brokerages using their local MLS feed displayed 100% of the MLS homes listed for sale on their websites while Trulia only displayed 81% and Zillow 79%. To summarize – over 33% of the listings the buyer sees are not actually for sale and buyers only see 80% of the listings that are actually available for sale. This was before many MLS boards and real estate companies made the decision to stop sending their listings to the Zillow Group. While Zillow’s website will experience different amounts of impact nationwide, in our local market Zillow is expected to lose between 25-50% of the listings. Zillow is not a real estate company. Because of this, they are not required to maintain the same level of integrity in advertising that real estate companies and agents must maintain. Nevertheless the public perceives them as a real estate company and assumes that the information Zillow publishes is held to the same level of trust and reliability that a Realtor would provide. Unfortunately that is not the case. Zillow is willing to display properties that are not listed for sale as “available for sale at the right price”. Now, as more and more MLS boards have decided not to send their information to Zillow, they continue to display the information but with the incorrect status of “Off the Market” even though the property IS AVAILABLE FOR SALE. No licensed real estate agent or company would ever be allowed to misrepresent properties so severely! Based on past experiences, current circumstances, and future expectations, our local MLS, along with many other MLS boards throughout the US, have decided to no longer send data to the companies that make up the Zillow Group. Buyers have shown that they are resourceful and find websites that contain listings in the area they are interested in. Bosshardt has dedicated resources and a substantial budget to market the properties in our area so that buyers will find your property. As people start to learn that Zillow has only a fraction of our local listings, they will turn to other websites to view all the available properties in our MLS. The Bosshardt website displays all available properties in the Gainesville MLS, making it an excellent source for buyers and sellers looking for information. Bosshardt has more agents and more home sales than any other company in the area. Local sites often have more specific local information than generic big box sites. Bosshardt Realtors understand the local market and can help you price your home to get the most exposure. Automated Valuation Models (like Zillow’s “Zestimate”) frequently show values for homes that are unrealistically low or high. This causes false expectations, frustration, and distrust during negotiations. Local realtors know their community in depth and can advise sellers how to get the best price for their home. Your house is properly represented by a Bosshardt agent with your best interests in mind. Since Zillow auctions your house’s listing to the highest bidding agents, the agent the potential buyer contacts may or may not do a good job trying to represent your house. They are concerned with converting this lead into a buyer – for any property – and may try to move them over to one of their listings instead of showing them your house. They are trying to recoup the cost of advertising on Zillow. Our website attracts people who are seriously interested in your home. We spend our time productively marketing your property, working with truly interested parties and bringing you serious offers. Quality before quantity. Multiple agents will show up as the contact point for your house. (The highest bidders will appear.) The buyer will choose from among the agents displayed and how that agent represents your house is unknown. Buyers may be concerned that they will not be able to find all the available homes when they are ready to buy. Fear not! Studies show that local real estate broker sites have always had a more complete inventory of listings than Zillow ever had. Even at its peak adoption, Zillow did not receive all the MLS listings, meaning buyers looking for homes often only saw 80% of the available homes. Now that many MLS Boards and real estate companies across the nation have chosen to not send data to Zillow, their percentage of listings will plunge even further and local, feature complete websites will continue to be the best place to find your next home. The Bosshardt Realty website always contains 100% of the available Gainesville MLS listings and is continually updated with the latest data within minutes. We do not use false listings as a gimmick to try to drive traffic to our website. As many as 36% of properties on Zillow are not actually available for sale! Bosshardt Realty does not display sold homes and homes that are not actually available for purchase. All the homes, land, and commercial property are available for purchase or to rent. Why should you choose Bosshardt Realty? As the largest residential, commercial, and property management company in the area, we have our finger on the pulse of local trends and developments. We know what’s happening in our market, why it’s happening, and we can help you analyze and understand how it affects you as a seller, buyer, or investor. We provide you with expert advice to help you make the best decision. We have a great website (stop by and see it at www.bosshardtrealty.com) but what makes us better than the Zillows of this world is what our people can do for you. How Accurate Was Zillow Anyway? The problem with Zillow’s Zestimate is that while it has gotten better, it’s nearly impossible for it ever to be good enough. Zestimates are a form of Automated Valuation Model (AVM). All AVMs have limitations. They work best on mass produced items with few or quantifiable variances, like cars (miles, condition, options). However, houses aren’t mass produced and different markets affect the value of the house. Because of the differences between every house, it is almost impossible for a computer program to accurately determine the value. Additionally, as houses get renovated, updated, and add additions, their value changes. Complex markets like housing are a worst-case scenario for AVMs. Worse yet, Zillow relies on aggregating public records data, but public records are riddled with errors. Garbage in, garbage out. Zillow actually publicizes the accuracy of their Zestimates city by city. To measure the accuracy of the Zestimate Zillow compares the actual home sale prices of homes with their Zestimate. They’ve found that the Zestimate is within 5% of the actual sale price around 33% of the time and within 10% of the sale price around 50% of the time. These following links will lead you to Zillow’s pages about their data. “Nationally, the Zestimate has a median error rate of 8%…” This means that 50% of the Zestimates are closer to the correct value than 8% but 50% are more than 8% off the correct value. This is a Microsoft Excel file of their data. You can use this to look at their accuracy nationwide or in any combination of areas you select. This is the percentage of transactions in a location for which the Zestimate was within 10% of the transaction price. In the U.S. as a whole, Zestimates are currently within 10% of the final sale price 63.6% of the time. This is the percentage of transactions in a location for which the Zestimate was within 20% of the transaction price. Nationally, Zestimates are currently within 20% of the final sale price 83.1% of the time. Half of the Zestimates in an area were closer than the error percentage and half were farther off. The median error rate for the country is currently 6.9%, meaning half of Zestimates nationwide were within 6.9% of the final selling price, and half are off by more than 6.9%.